Batteries for pickup trucks can be expensive, but the one from the factory will likely need to be replaced after a few years. Consumers should be aware of how to shop for a safe, reliable battery and avoid purchasing an item that could cause damage to the vehicle or harm its occupants. 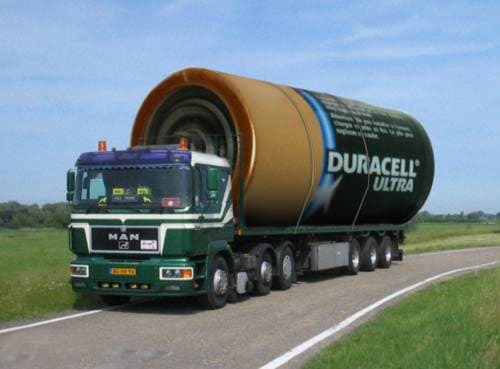 Use only approved batteries for your vehicle and avoid deals that seem too good to be true. There are many trusted brands from which to choose. All the performance batteries say they are great for cold weather vehicles, and many offer a maintenance free design. Available at Sears, the DieHard battery line offers various choices. This brand breaks their batteries into metal sub-names, so choose “Platinum” for high performance needs. The warranty seems generous compared to other batteries, at a four-year replacement and 100 month pro-rated. Compared with others, this company seems confident that its battery will last the longest. For those who store vehicles during one season, and use them in another, this battery is great. This battery also boasts military grade construction and vibration-resistant technology. These batteries are great, too, and offer a very wide selection from which to choose. The Sport battery works well in extreme temperatures. It offers just a two year warranty replacement warranty, but the price is significantly lower than the one previously mentioned. It, too is vibration resistant and offers great starting power. A battery offered at Walmart stores, the EverStart Maxx offers middle of the road starting power and a middle of the road price when compared to other high performance batteries. It has a one-year advantage over the NAPA at three years replacement, and offers an additional 2 years prorated. One advantage of these batteries is that the manufacturer is the same that produces many premium batteries, which gives an idea of the quality. A great benefit of all three of the battery brands is that they are maintenance free. There is no need to worry that the warranty will void due to poor maintenance. Remember to match the battery size and type to the vehicle type to avoid headaches during installation. Keep in mind the importance of battery recycling. Most companies offer a free return program.